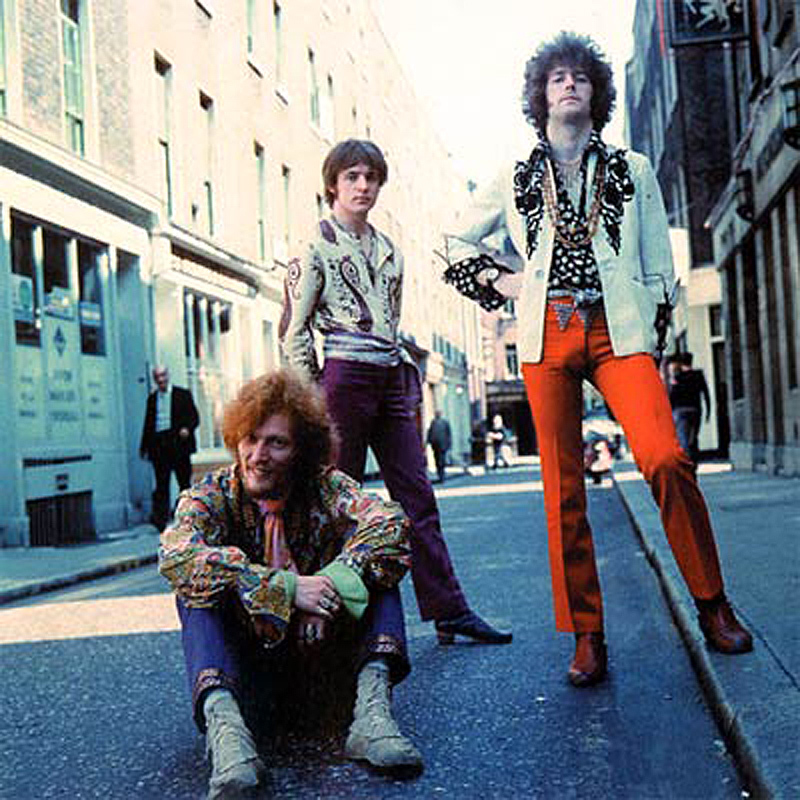 1966 - My Favorite Year - Ready Steady Gone! Since Ready Steady Gone was launched it’s had over a quarter of a million hits. 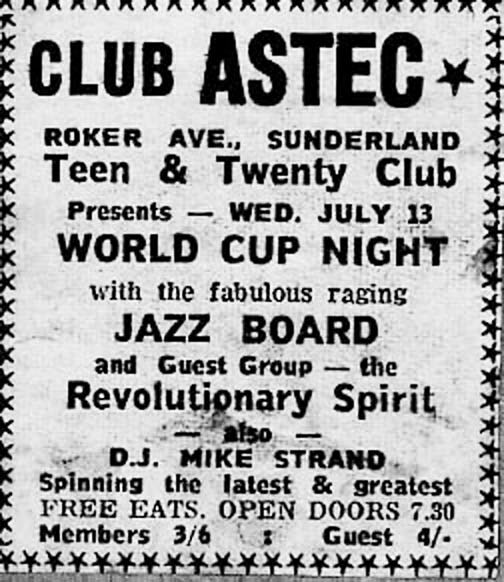 I’m guessing that most visitors to the site will be in their sixties and would have been to one or more of the north east clubs featured or, at least, will have seen some of the bands mentioned in Ready Steady Gone. Anyone who frequented the north east clubs in the mid sixties will know that it was much easier to see your favorite bands at close quarters than it is now. One of the great things was that the top bands of the day played at fairly small venues so you could actually get within touching distance of them while they were performing. If I had to choose my favorite year from that period, I’d have to say that it was 1966. I was in a band called the Jazzboard throughout 1966 and played a total of 132 gigs that year. As well as my original 1966 diary, I have some great memories of the places at which we performed – the Club a’Gogo, the Dolce Vita and Mayfair Ballroom in Newcastle; the El Cubana and Club Aztec in Sunderland, the Cellar in South Shields and Redcar Jazz Club, the McCoys Club and Kirk Levington Country Club in Teesside. Some of the great performers we played alongside in 1966 were The Who, The Small Faces, The Action, Geno Washington and the Ram Jam Band, The Pretty Things, Jerry Lee Lewis, The Eyes and Cream. It’s apparent from this site that my musical journey from 1965 to 1972 is well documented. However, it’s not the diaries, photos and posters that trigger off memories of 1966. Rather it’s hearing certain songs from that year. I must have listened to hundreds of songs in 1966 but only a handful bring back really vivid recollections of the places and people. For instance, take the Club a’Gogo. The songs that bring back memories of the Gogo for me are ‘Ain’t That Peculiar’ by Marvin Gaye, ‘Lightning Strikes’ by Lou Christie, ‘This Old Heart of Mine’ by the Isley Brothers and ‘Supergirl’ by Graham Bonney. They’re not particularly outstanding songs but some special moments must have taken place while they were being played for them to be etched on my mind forever. For the Club Aztec it was ‘Cool Jerk’ by the Capitols, ‘Shotgun Wedding’ by Roy C. and ‘Holy Cow’ by Lee Dorsey. The El Cubana – ‘Summer in the City’ by the Loving Spoonful, ‘I Feel Good (I Got You)’ by James Brown and ‘Hold Tight’ by Dave, Dee, Dozey, Mick and Titch. 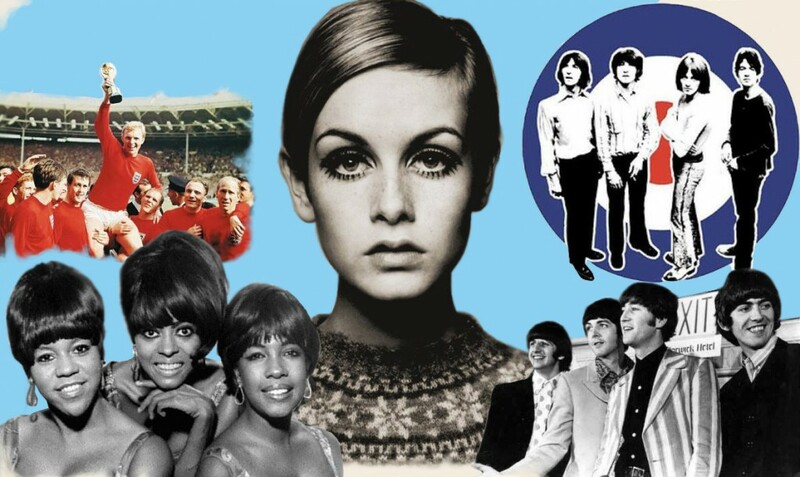 Some other records from 1966 that have stood the test of time are: ‘Reach Out I’ll Be There’ by the Four Tops; ‘Gimme Some Loving’ by Spencer Davis, ‘California Dreaming’ by the Mamas and Papas and ‘You Can’t Hurry Love’ by the Supremes. A notable album from 1966 is ‘Pet Sounds’ by the Beach Boys. One of the best films to come out of 1966 and one which captures the atmosphere and flavour of that time was ‘Blow-Up’ starring David Hemmings and Vanessa Redgrave. The main character in the film is a London photographer, believed to be based on David Bailey. The photographer (played by Hemmings), in between fashions shoots and romps with aspiring models, inadvertently takes some photographs of what appears to be the aftermath of a murder. The film has a great sound track featuring music by Herbie Hancock, saxophonist Phil Woods, and guitarists Jeff Beck and Jimmy Page. The Yardbirds make a brief cameo appearance at a party scene. Blow-Up includes a sequence that was described at the time as ‘the sexiest cinematic moment in history’ – Hemmings’ photo shoot with the model, Verushka. 1966 was also the year that England won the World Cup. In July, Roker Park was one of the venues used for the matches leading up to the Wembley final. There were a lot of Italians in Sunderland’s clubs and pubs who were in town for the football matches. I remember playing at Redcar Jazz Club and supporting the US soul singer Solomon Burke the day after the final. Our manager told us to go on stage and say ‘Good Old England’ over the PA system. We followed his advice and got a bigger cheer than Solomon Burke. The world cup comes to Sunderland! 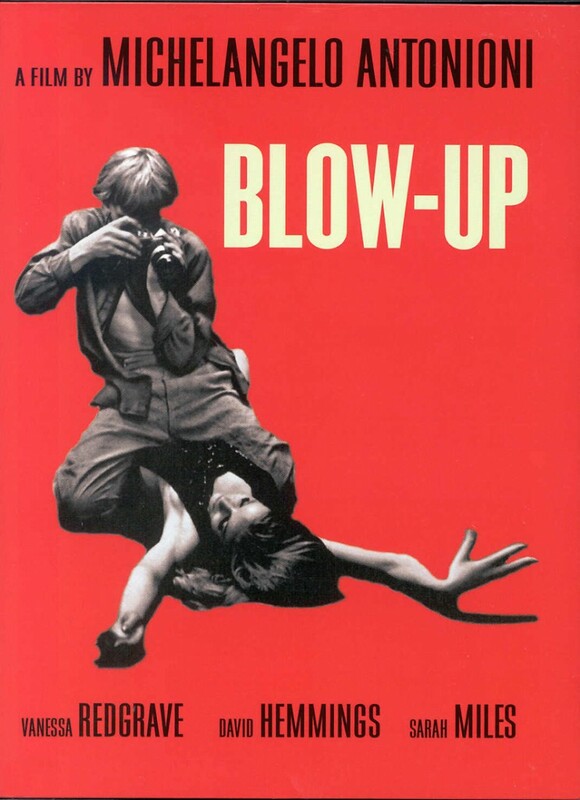 Half a century on – songs from 1966 are still being played on the radio and the film Blow-Up occasionally appears on the box. A song from that year – ‘Cool Jerk’ by the Capitols – has found it’s way onto the set list of my current band – The All-Nighters. So I now have the pleasure of playing a great baritone sax line from a 1966 song to remind me of my favorite year. I love your site and although some of the stuff is slightly before my time, it brings back great memories of phenomenal music and great fashion that really made for a period of huge cultural importance. Fabulous that you are still playing and “The All-Nighters” sound amazing! Thanks for the information and memories Roger – I have a decent collection of records including quite a few by ‘obscure’ North East 60’s artists …Gamblers, Shorty and Them, Silver Dollars, Banshees, Fair Set, Chosen Few, Blue Chips, Answers, Caesars, Phase 4, Living Daylights, Skip Bifferty, Toby Twirl … and a few others … if you’d like to hear them I can record them onto a CD for you and send it on … Regards from Malcolm Wild in North Shields. Just recognised a poster for the movie 'blow up' starring david hemmings, vanessa redgrave and my ex girlfriend sarah miles. You mention Spencer Davis' 'Gimme Some Loving' which I had forgotten after all these years and hey presto, as I write this I am watching the group perform that song live as it were, on YT!